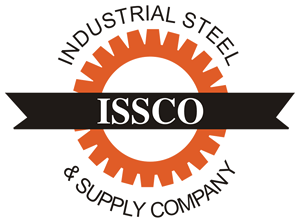 Average Properties of Standard Steels - Industrial Steel & Supply Co. These figures show the approximate ranges of physical properties of steels in common use in 1″rounds. Lower range tensile properties are to be expected in large sections, while high properties may apply to smaller sections. These figures are NOT guaranteed and are given only as an indication of what may be expected and should, under no circumstances, be used in specifying the raw materials. It must not be assumed that these properties will be obtained in all cases, as they vary widely with permissible variations in analysis, size of section, rolling conditions, grain size, and methods of heat treatment. Dependable physical properties can only be obtained through carefully controlled heat treatment. These figures cannot be used as a basis of acceptance or rejection of material. 1With the addition of .15 / .35 percent lead to this grade, mechanical properties are not appreciable aff ected. Machinability, however, is improved approximately 24 percent. 2In the event of disagreement between hardness and tensile strength, the tensile strength shall govern. 3Selenium may also be added to these alloys to further improve machining characteristics. Stressproof®, Fatigueproof®, and ETD 150® are trademarks of Mark La Salle Steel Co.